The successor to the Goodyear Cargo Marathon light truck tire enhances fleet mileage by up to 10,000km , improves fuel efficiency and offers enhanced grip, especially in wet conditions. Goodyear, one of the world’s largest tire companies, has announced the launch of the EfficientGrip Cargo across the European, Middle-Eastern and African (EMEA) markets. With fuel efficiency and increased mileage becoming even more important for drivers and fleet, Goodyear is introducing a light truck tire that meets these demands thanks to its new silica compound and improved tread wear performance. To offer a higher mileage , the EfficientGrip Cargo makes use of two innovations. The introduction of a new silica tread compound increases the tire’s wear resistance and enhances grip in wet conditions. The re-designed tread pattern optimizes stiffness of the tire and distributes pressure more evenly in order to provide more rubber on the road. Thanks to these additions, the tire may allow fleets to drive up to 10,000km further. By using a stiffer base-compound and creating a cool cushion layer, the tire generates less heat compared to its predecessor, which results in an 18%-lower rolling resistance. The reduced temperatures and optimized construction improves rolling resistance by up to 18% in comparison to its predecessor . 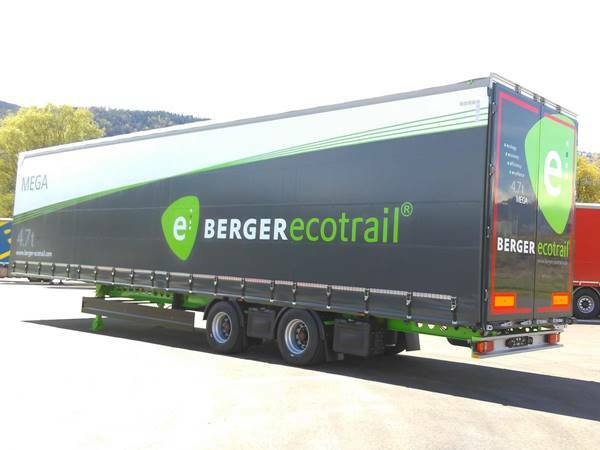 The EfficientGrip Cargo is already fully compliant with the EU regulations coming into force in November 2018, with regards to tire labelling and in particular rolling sound emissions, rolling resistance and adhesion on wet surfaces. 28 sizes will be available by May 2017, covering then 82% of the market.